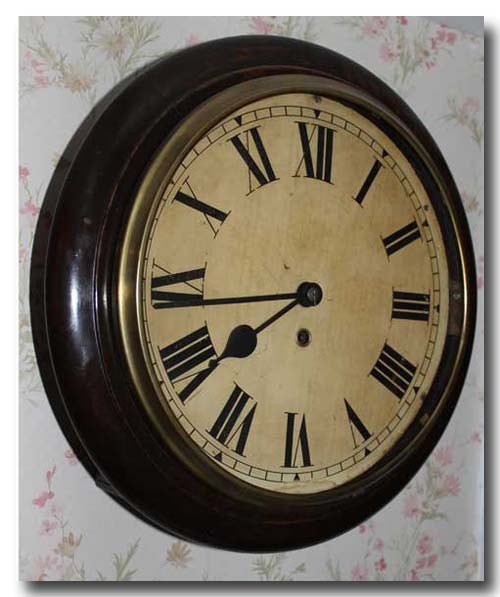 A SESSIONS CLOCK CO. GALLERY CLOCK WITH A 12 INCH DIAMETER DIAL. TIME ONLY. BRASS BEZEL. ORIGINAL STEEL HANDS. BRASS PENDULUM. ROMAN NUMERALS. OAK CASE. 8 DAY SPRING WIND MOVEMENT IN GREAT WORKING CONDITION. 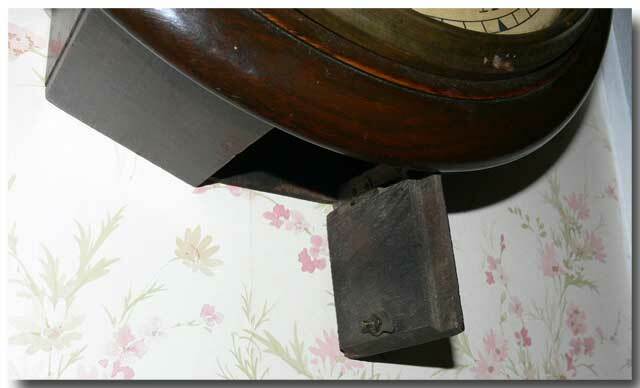 SEPIA-TONED DIAL SET ON A RECTANGULAR CASE WITH A TRAP DOOR AT BOTTOM WITH A BRASS TURNBUCKLE. INCLUDES BRASS KEY NO. 10 SIZE MARKED “SWISS MADE” AND “10”. APPROX. SIZE OF CASE 16 INCHES HIGH X 16 INCHES WIDE. CIRCA 1880.